- Tons of layout tweaks - Backend enhancements - Bugfixes I'm also going to try and post a thread like this for every update so we can collect some more focused feedback. Feel free to dump any thoughts on this update here! Only the largest version of each wallpaper remains. All smaller versions are considered duplicates and will be merged into the largest one. 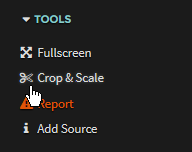 When trying to crop to a resolution larger than the original there is a warning, which is great (though not really visible it the popup itself). But I think you should also change the appearance of the buttons, like a bit lower opacity, to make it clear that these options will upscale the image. Also why compressing in PNG ? From my experience JPEG 95% is more than enough. from here is in effect? The cropping tool is pretty great except for the lack of a selectable cropping area as KrimzinZV pointed out. Should be fixed now, thanks for mentioning it. My only fear is that images will be upscaled and reuploaded. Maybe allow to only downscale to a proper ratio? Is it just me or has the site become very slow ? Thanks for all the feedback! Keep it coming! As for the slowness, we cleared our cache at Cloudflare so that needs to rebuild. We should be back to where we were in a day or so. Thanks for the Info. And yes, the the comment window shouldn't be opened in default. I won't add that for now. That thing is already finicky in terms of browser support. I could add a dropdown to align the cropped area top/left vs. center vs. bottom/right, if people consider it useful. perhaps Create.JS is something useful? I've had many uses for it. And if it's on it's own seperate page, lag or slowness should be kept to a minimum. Clicking Send Reply while in Preview mode returns a Comment Creation Failed error. Should be fixed. Additionally subscriptions notices are now sorted properly. Let us know if you encounter any issues with that. Gandalf Nice. Looks like I got that feature request out just in time. Thanks. Additionally subscriptions notices are now sorted properly. Let us know if you encounter any issues with that. Subscription issue fixed. Will have to come back to the upload bug later.